To say SEO has “changed a lot” would be the understatement of the decade. We get multiple updates per year from Google alone. What got you ranked at number one in the search engines in 2010 may no longer be relevant in 2019. Marketers, SEO agencies and webmaster alike have refocused their attention from linkbuilding and keywords, to high-quality content. 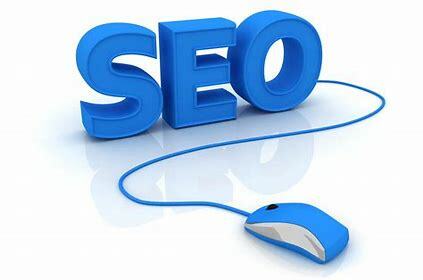 This doesn’t mean that the job of an SEO specialist is just to pump out high-quality, keyword-optimized content. In fact, SEO has changed so much in the past several years that many people don’t know what techniques are outdated, still important, still relevant, and what’s simply wasted effort. My hope is to point out all of the most common myths and about SEO and debunk them for you, so you don’t have to waste anymore time on things that simply don’t matter for SEO in 2019. Take submitting your site to Google, and other search engines, for instance. Years ago, we had to submit our site to Google in order to be indexed by them and show up in their search results. This is no longer true. You can still submit your site to Google for peace of mind, but a giant like Google has the resources to find your site on its own. Link building consisted of us building as many links as possible, regardless of the site’s quality. This worked back then but these days blindly building link won’t cut it. Thankfully, your rank will depend on the quality of the websites that are linking to you, not the quantity. Links are an important factour in your website’s authority. One hundred quality links will get you further than one thousand spammy links. Keep that in mind when building links for your website. You may have noticed that some sites start with “http” and others start with “https”. A site starting with “https” is considered secure. To put it simply, the extra “s” means your connection to that website is encrypted so hackers can’t intercept any of your data. The technology that powers that little “s” is called SSL, which stands for Secure Sockets Layer. People believe that having a secure site is not necessary, especially for SEO, but this couldn’t be further from the truth. Having a secure site is absolutely necessary, even for SEO. In August of 2014, Google announced that HTTPS would be a signal in their ranking algorithms. Any site that still relies on the standard HTTP will suffer in search engine rankings. It wasn’t until January of 2017 that the Google Chrome web browser started marking HTTP sites as unsafe, chasing away any potential visitors to HTTP websites. Suffice it to say, if your site is still on HTTP, encrypt your site as soon as possible. Contrary to popular belief, SEO is not only about ranking. If you rank high for “SEO agency”, but your website is about wordPress plugins, you won’t get clicks because the visitors seeing your site are interested in SEO agencies, not WordPress plugins. Your meta descriptions are probably just as unappealing to those visitors. These are reasons why higher rankings for your website does not necessarily mean higher clickthrough rates for your website. In 2009, Google announced that meta descriptions had no bearing on search engine rankings. But though meta descriptions are technically not necessary for your rankings, it still has some weight with SEO. If you rank your website for a specific keyword, especially a competitive keywords, the meta description will help you set yourself apart from the competition. This is where you give potential visitors a reason to visit your site. People think that pop-ups will hurt their ranking in search engines but this just isn’t true. Google will penalize you and your site by dropping you in the search rankings, but this is only if your pop-up ads are intrusive. If your pop-up ad distracts users from navigating your site in a normal fashion, you’ll be penalized. Other than the misuse of pop-ups, they are perfectly safe to use on your site and will not affect your SEO efforts in the least. There was always a belief that keyword optimization was the key to SEO. It’s not. At least not anymore. This was definitely true before and you could tell by some of the robotic content that was present on websites. But Google now uses a machine-learning algorithm called RankBrain, which most likely uses a variation of Word2vec to find keyword topics that are related to one another. Today, it’s more important to optimize your sites for your users’ experience. This means that you no longer have to place your keywords word-for-word in your content. You can now write your content strictly for your users. Keeping with the tone of the #8 myth, let’s defunk the myth that keywords need to be an exact match. Instead of creating content for SEO purposes and for Google’s sake, you need to create content that makes sense to your actual audience. With the implementation of RankBrain, you can now focus on pumping out content relevant to your visitors. No more forcing keywords into every other sentence of your articles. You can now write naturally and Google will pick up on it. Keyword-stuffing is 100% against Google’s Webmaster Guidelines so you need to get out of 2010 and come into 2019. Whoever said that the H1 is the most important on-page element, had it all wrong. Sure, it’s important, but it’s not the most important element on your site. Which header tag you choose to use for your title has little to no influence on your overall SEO. Header tags are really just a style preference these days. It really doesn’t matter what header tag you use, just make sure you present your most important concepts closer to the top of the page. Your homepage does not require a lot of content. Don’t let anyone tell you anything different. Your homepage content should be long enough to clarify who you are, what you do, where you’re located (if you’re local), your value proposition, and what visitors should do next. These visitors should leave satisfied, not overwhelmed or underwhelmed – and certainly not confused. Want to find out the rest of the 18 SEO myths that you should forget? Download 18 SEO Myths You Should Forget In 2019.